Over the past few years, a lot of smart phone manufacturers that adhere to the principle of “the more, the better.” As a result, buyers pockets began to appear more and more large machines and more often have to hold them with both hands, but it has its advantages. Large screens allow more convenient to watch videos and play games, as they are good for people with low vision or thumbs. 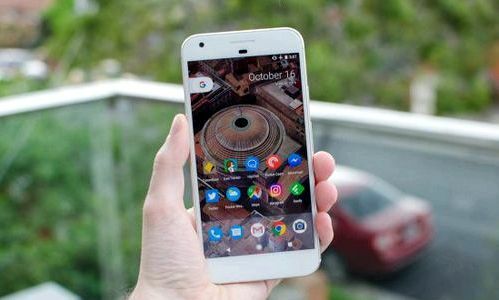 If you want to buy a large smartphone, but not willing to sell a kidney for expensive Google Pixel XL or iPhone 7 Plus is, on the market available cheaper alternatives. Search acceptable for the price of the smartphone with a large screen and good hardware characteristics can be difficult, so we try to lighten it. Below is a list of smartphones is not more than $ 400 with a screen size of at least 5.5 inches. Alcatel Idol 4S is an excellent mid-range smartphone. 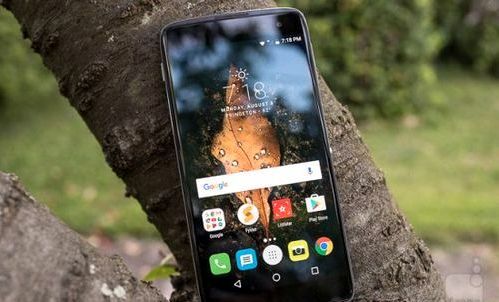 Although it is expensive, the screen resolution is Quad HD, uses a solid-core Snapdragon 652, and 3GB of RAM, the battery capacity is 3000 mAh, which is included in the tests with the screen gives seven hours. back of the camera is 16 megapixels resolution, it is capable of recording video in 4K format, the front camera is 8 MP has its own LED flash. Other features include a fingerprint scanner and Boom button. The latter is a multi-functional interface, which causes more software functions. In addition, the developers have added a set of virtual reality device and JBL headphones. 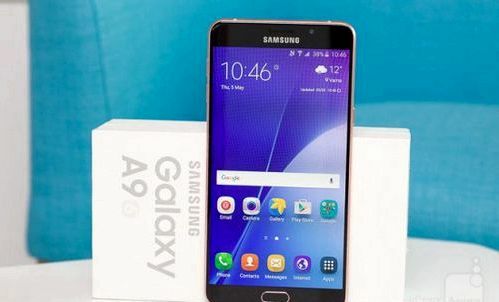 Samsung Galaxy A9 is huge, but at the same time elegant smartphone. He has no express weaknesses, making it an excellent choice for the price. What distinguishes the A9 from the competition, is a huge Super AMOLED screen with a diagonal of 6 inches and a capacity of 4000 mAh battery that provides 10 hours and 10 minutes of battery life with the included screen in tests Phonearena portal. The only drawback may be called the old Android 5.1 operating system. If you are looking for an affordable smartphone with a large screen which takes high-quality photos, Asus Zenfone Zoom can be your choice. Although it is an old model for 2015 and there is no support for video recording in 4K format, the smartphone has its own strengths. It is not very expensive at $ 230, while few smartphones offer a 3x optical zoom that allows you to enlarge an image without losing quality. Price: $ 300- $ 330. 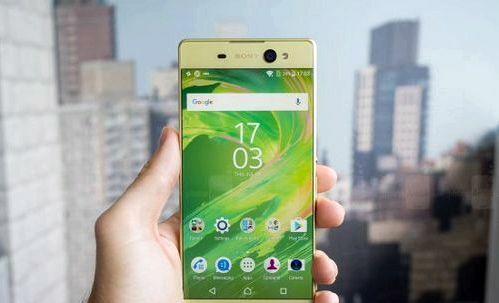 If you firmly believe in the desire to buy a 6-inch smartphone should look towards the Sony Xperia XA Ultra. Compared with Galaxy A9, this device has the worst battery life and too cold the color temperature of the screen. This screen is brighter than the Samsung, the camera is also better. Another advantage of Sony devices is the lower price. Smartphone Honor 6X is a great machine. It is available at a price, but it does not feel cheap. It is a quality smartphone in all aspects: a large screen, bright and with good colors, the device sits comfortably in the hand, the speed of fast, high uptime, almost like the Galaxy A9. There is a dual rear camera, but do not expect miracles from it, like the iPhone 7 Plus. Photos can not be called bad, because much can be achieved from the camera, taking into account its limited capacity. The only concern is the fact that the smartphone is quite new, but it does not work on Android Nougat, while the old shell EMUI 4.1. Its upgrade to a more modern version is expected in the second half. 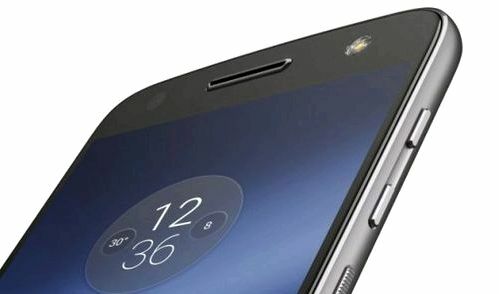 Smartphone Moto Z Droid takes us into the territory of the flagships. 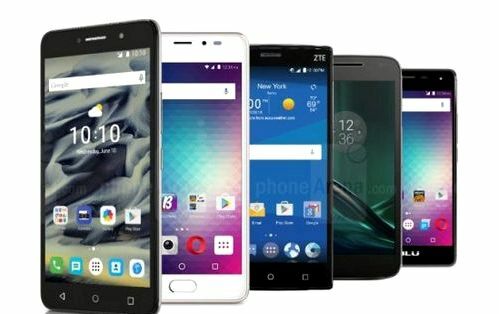 Apart from attractive prices, the smart phone has many other advantages: AMOLED screen size of 5.5 inches with a resolution Quad HD and pixel density 535 ppi, Qualcomm Snapdragon 820 processor with 4 GB of memory, which provide high performance. Behind is functional camera with a resolution of 13 megapixels, which produces excellent photos. Smartphone modular, the modules make quite a lot of variety in its capabilities. The device is extremely thin, but for this it was necessary to install a small battery and remove the jack 3.5 mm headphone jack. 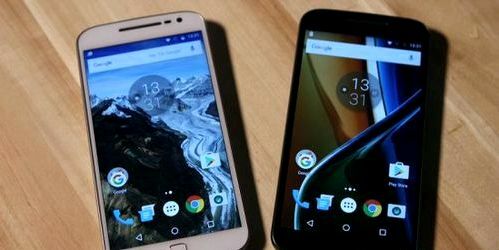 If you really need an inexpensive device with a large screen, the ideal option is to Moto G4. 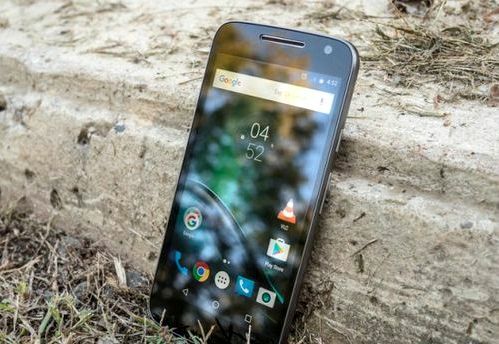 The basic version is available at $ 200, upgrade to 32 GB of flash memory and up to Moto G4 Plus will cost an additional $ 30. Despite the low cost, the smart phone has a large screen TV, a moderately fast processor and enough RAM to run smoothly. If this is not a bargain, while difficult to say what it is. 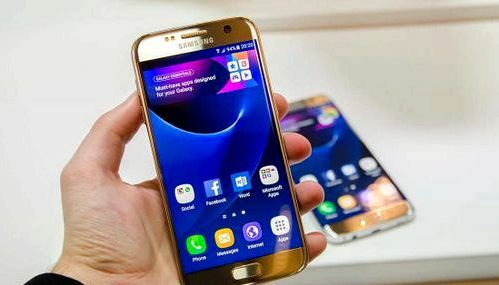 In the world of technology in general and smartphones in particular, manufacturers are focusing on the upper price range devices, offering major innovations. As a result, users are usually less aware of the initial price range devices. This is a big problem, because it is such smart buy more often and need to know what you are buying. To solve this problem, below is a list of the best smartphones currently no more than $ 150. In the last year, Asus has released several devices Zenfone line 3, of which a model Max has become the cheap. At the same time it has many advantages. The smartphone is made in lightweight aluminum body and is one of the most attractive appearance of this list. Its distinguishing feature is the battery capacity of 4100 mAh, it is an impressive value for such a price. $ 150 is the basic version with a volume of 2 GB of RAM and flash memory to 16GB, there is support for microSD memory cards. 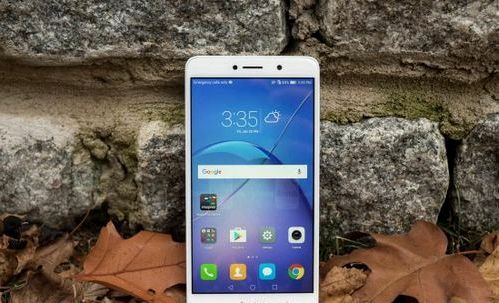 The smartphone runs on Android Marshmallow operating system shell Asus ZenUI. There is also a fingerprint scanner, which is usually available on more expensive vehicles. This is the first Moto G4 line smartphone, its appearance is similar to the other members of the producer. The device is protected from splashing with him are not afraid to get into the rain. On it is close to the pre-installed version of Android Marshmallow net system a few weeks ago there was an upgrade to Android Nougat. It supports all GSM and CDMA networks. One of the most popular devices in this list is a relative newcomer to the smartphone market. 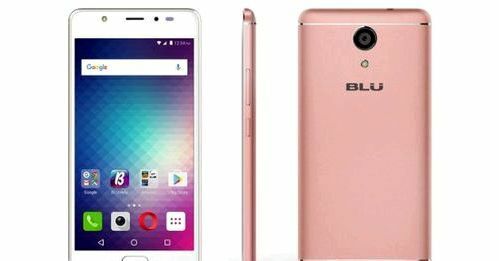 Blu R1 HD is available in several versions, including even the most expensive falls into our list and offers a good hardware specifications. It has a screen with a diagonal of 5 inches and a resolution of 720p, which is protected using Gorilla Glass 3, because it is difficult to scratch. 4-core processor with a frequency of 1.3 GHz offers adequate for the majority of cases, the level of performance. Price: $ 106- $ 116. 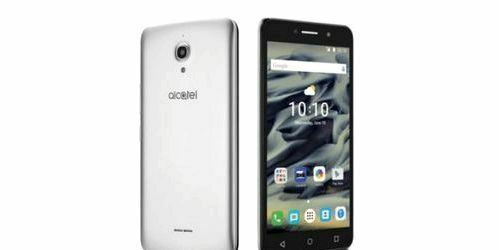 Another device with the front flash is a slightly improved version of the Alcatel POP 4 smartphone that offers more RAM and a larger screen. 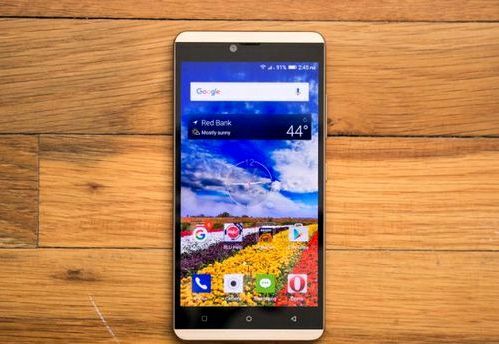 The smartphone runs on Android 6.0 Marshmallow, the amount of flash memory of 16 GB, a slot for microSD. Under the screen is a small fingerprint scanner. 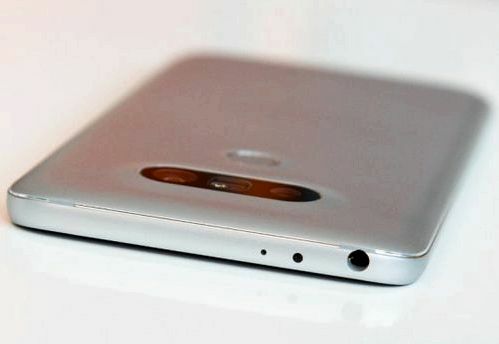 Design simple, but smart phone looks quite attractive at the expense of a metal similar to the reverse side of the body. Battery size is large enough to work throughout the day, although in this list on this parameter is the bottom of the unit. Price: $ 120- $ 140. 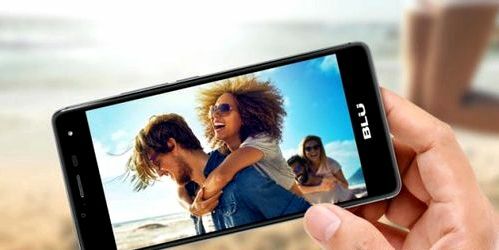 The main attraction of this smartphone is the screen size of 5.5 inches with a resolution of 720 x 1280 pixels. Its hardware specifications are fairly standard for this price, a pleasant surprise is the battery capacity of 3000 mAh, which is enough for a full day of work. The device is sold on Android 5.1, but the system can be updated over the air to Android 6.0 Marshmallow. The smartphone has a sleek design, although it is more rectangular, and comfortable to grip the rear panel. The biggest advantage of this device is its attractive appearance. The front panel is elegantly conceals the large vertical stripes along the edges, the back has a glossy mirror finish, this is one of the most beautiful smartphone in this list. Also, it is very thin and lightweight device that is comfortable to hold in hand. It has a large battery capacity of 3150 mAh. rear camera resolution is 13 megapixels, it takes well in daylight, photographs are not as high quality in low light. The screen size is 5.5 inches, Super AMOLED panel is used with a resolution of 720p. The software has a number of useful features, the system uses Android Marshmallow. Price: $ 130- $ 150. Pixi Smartphone 4 has an impressive screen size of 6 inches with a resolution of 720p. Unfortunately, there is a weak processor and only 1GB of RAM, but for most users it will not be a problem. On the preinstalled operating system is Android 6.0 Marshmallow, uses a removable battery, and you can install two SIM-cards. The design is quite modest, though the rear panel offers one of the few bright colors that revives the look of your device. This is the only smartphone in the list with Full HD resolution screen only has this, he attracts attention. Available in two different versions of the device, viewed offers 2 GB of RAM and 16 GB of flash memory. There is a fingerprint reader and a large battery. Design of the device is quite common and simple, the back panel is made of aluminum and is available in three color variants. rear camera resolution is 16 megapixels, which is also a record for smartphones from our list, there are two slots for SIM-cards. In 2016, it was hard to buy a bad smartphone. Although the appearance of Samsung Galaxy Note 7 turned out to be a disaster because of exploding batteries, plus upset modular LG G5, but beyond them are many different models of large and small producers it was released. Companies in 2016 listened to the views of users and improve the appearance of their vehicles, expanded functionality and less compromises, which is a positive trend. However, the search for the perfect smartphone is never ending. Close to this model, rank Google Pixel XL and Samsung Galaxy S7, but they have their shortcomings. Manufacturers continue to include weak batteries in high-end smartphones, while there are low cost smartphones with capacious batteries. Still caught terrible realization Android skins, although the clean version of the system available to all manufacturers. Still there are no smartphones required parameters such as slots for memory cards microSD and front speakers. In this article we will try to name the parameters of the ideal smartphone for 2017. Its hardware and software performance will be based on real-world developments, so that the next-generation technologies such as lithium-air batteries and camera sensors of 35 mm will not be considered. The smartphone should be feasible to arrive in stores later this year. The first step in choosing a smartphone to look at the size of the screen, because it determines the size of the apparatus as a whole. Large smartphones with screens of 5.5 and 5.7 inches allows you to conveniently watch videos and play games, but it is more comfortable to work with the size of 5.3 inches. For many it is the perfect combination of size and facilities, especially for owners of medium-sized palms. Like last year, in a similar article, this time chosen AMOLED panel with a resolution of 1440r. 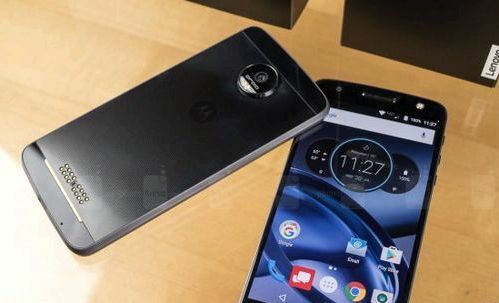 Some prefer to 1080p resolution for greater speed and battery life, but the big difference was observed between the flagship smartphone with these two resolutions. If there is no difference, it is necessary to choose the best technology. Also, do not forget about virtual reality. 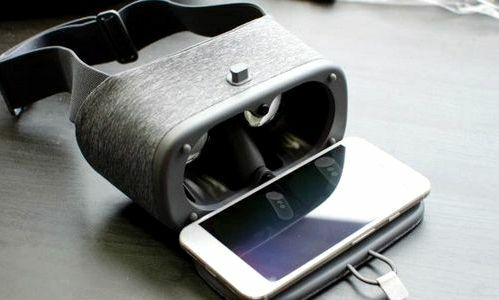 If last year it was not very important, the emergence of Google Daydream platform made of high-definition screens important requirement for flagship smartphones. For virtual reality the higher the screen resolution, the better. There are even screens with 4K resolution, for example, on the smartphone Sony Xperia Z5 Premium, but is mobile chips are struggling to cope with applications of virtual reality at such a high resolution. AMOLED technology has been selected for several reasons. It gives the best levels of black color and contrast, as a result of the screen better in everyday use and in virtual reality. The current production of screens AMOLED Samsung have a color range wider than sRGB, which gives a more saturated image with the correct calibration. The ideal smartphone gives color management at the mercy of the Android system and uses the Adobe RGB and DCI-P3 color space. AMOLED more responsive compared to the screens IPS LCD, which is important for virtual reality. The shield should operate at a frequency at least 90 Hz. I do not want to see in an ideal smartphone screen is curved. No real advantages from these bends not, let them look attractive. At the same time an increasing number of them have highlights and image distortion at the edges. Software is not the best way to recognize it, when you hold the smartphone at the edges. Therefore, the ideal smart phone will have a flat-screen TV. Galaxy S7 Edge is an attractive smartphone, but it looks even better OnePlus 3. The ideal smartphone will be largely similar to it, including at the expense of the metal monolithic housing and protective glass Gorilla Glass 4. flagship smartphone should look great and nice to be felt in the hands, this differed OnePlus 3. The body OnePlus 3 I would like to make some changes. This slim smartphone, so you want to make it thicker to fit a larger battery. We must reduce all sides of the screen, especially at the top and bottom, making it easier to work with it and make it more attractive. It is necessary to remove the notification slider switch, but you can leave the antenna line, which add attractive minimalist rear surface. Protruding outside the housing chamber is not ideal, although the increase in thickness can solve this problem. Ideal smartphone needs a fingerprint scanner, preferably on the back side. There it is easier to reach and more convenient to use. Scanner ahead requires changing hand position, whereas on the other side before it can reach without changing position. I would also like to be protected from the water with the standard IP68 and dual front speakers. In 2016 there was a great smartphone with a monolithic metal housing and protection from water – Galaxy S7, the perfect smartphone can be like him. This protection will protect the device from accidental water splashes and dust. It does not require any plugs and caps for the connectors. With regard to the dual front speakers, they’re less likely to occur in high-priced smartphones. Meanwhile, they give the best sound in games and video, though you can use headphones, but it is not so convenient. It is still only the beginning of the year and no one knows which processors can appear before the end, but last year it was difficult to make the wrong choice between Qualcomm processor, Samsung and Apple. Apple releases processors only for their own smartphones, so they do not fall into the perfect smartphone. The choice was made in favor of the Snapdragon 835 instead of the next generation of Samsung Exynos for two reasons. Snapdragon Exynos superior in graphics performance that’s been going on for several generations thanks to the graphics chip Adreno. Snapdragon 835 will process the schedule by 25% faster than the Snapdragon 820 that is useful in virtual reality applications. Snapdragon processors are rarely thrown GPU clock speeds compared to the Exynos chip with heavy loads. This efficiency and performance management can be useful in an ideal smartphone. Second, Qualcomm is able to produce the best modems for smartphones. 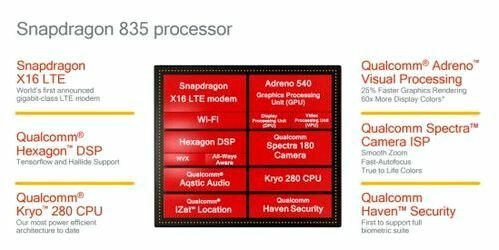 Snapdragon 835 received X16 LTE modem that supports LTE communication standard category 16 and the speed of the incoming connection 1 Gbit / s. This also supports the modem 256-QAM, 4×4 MIMO, and 4 CA. More there is Bluetooth 5.0 and Wi-Fi 802.11ac / ad. Snapdragon 835 is productive in terms of CPU, its energy efficiency increased thanks to the transition to a process Samsung FinFET 10nm. The processor will be used in many flagship smartphones in 2017. Dual cameras on smartphones are on the rise and the perfect smartphone can not do without such a combination. Looking at the iPhone 7 Plus is, we take two identical rear camera with different lenses: one with a size of 24 mm wide-angle to shoot the usual pictures, the second the size of 72 mm will provide a 3x zoom. 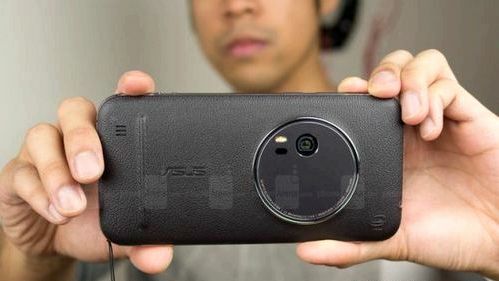 There are several options of double cameras in smartphones, including the camera with the second zoom is one of the most useful. You can call a wide-angle camera produced by LG, in many cases, a wide field of view is useful. The second sensor in the camera Huawei provides increased detail and depth of the review, which is also good. Often, however, from a smartphone camera I want to get it extra zoom. Digital zoom provides limited detail and quality, so handy 3x optical zoom. Both cameras are based on sensors Sony IMX260 CMOS with a resolution of 12 megapixels, as in the Galaxy S7. The size of this sensor is 1 / 2.5 inches with a pixel size of 1.4 microns, which allows for good quality photos in low light conditions, when compared to the pixel size of 1.1 microns. There is also a Dual Pixel Technology, which allows the camera to operate, fast focusing and taking pictures. This technology offers excellent phase detection autofocus, so the laser pointing is no longer needed. A year ago in this article IMX300 sensor has been chosen with a resolution of 23 megapixels and a pixel size of 1.1 microns. IMX260 sensor with proper treatment ensures an excellent level of detail and has greater clarity in low light due to the larger pixels. Wide shots increases less compared to the previous sensor, but the addition of the auxiliary chamber to zoom compensates this disadvantage by increasing the image quality and sharpness of objects in the distance. Both rear cameras have optical image stabilization for better pictures in low light. Both are capable of recording video at 4K resolution at 30 frames per second and shoot at 1080p resolution at 120 FPS and 720p with a frequency of 240 FPS with high quality stereo sound. The wide-angle camera has aperture of f / 1.9, the camera has a zoom aperture is f / 2.2. A further increase in aperture ratio here would lead to an increase in the camera module beyond reason. The front camera will also use Sony IMX260 sensor, this time paired with a 24 mm lens aperture of f / 1.7, and optical image stabilization. This is not the first smartphone with optical image stabilization in front of the camera, before a similar opportunity offered HTC 10, it helps to take selfie in low light. The front camera can also shoot video at 4K resolution. As for the software part, the ideal solution would be the application and processing of images from Google. Pixel smartphone includes better algorithms for processing images, including HDR with zero shutter lag. Also from Google, you can borrow a 4K image stabilization technology to ensure stable format video, and camera software to take the LG company to obtain full manual mode with support for shooting photos in RAW format. In 2017, ideal smartphone gets a clear upgrade compared to last year’s model: the volume of internal flash memory grows from 64 to 128 GB. You never know, that want to save on your smartphone, so the more space, the better. Like last year, for a maximum data rate will be used NVMe controller. If the permanent memory should be even more, there is a slot for microSD cards. Now 200 GB capacity card costs about $ 80, although the speed of their work is not as big as that of the built-in NAND flash memory. The most controversial aspect of last year’s choice was to perfect smartphone battery. Many do not like non-removable battery, but this time the choice is made the same. This is for their own reasons. 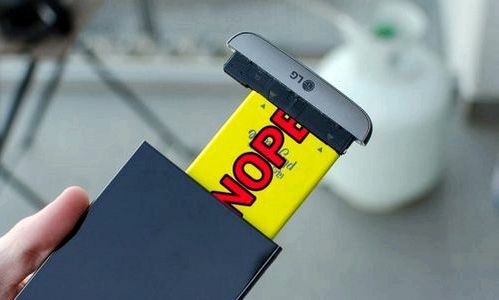 Firstly, a removable battery device requires several additional layers to cover it, as well as the release mechanism. Nonremovable battery eliminates the unnecessary layers that allows you to make the body thinner and longer battery. Battery release mechanism spoil a beautiful monolithic metal body ideal smartphone. Work with removable batteries leads to additional problems. When replacing your smartphone you need to turn off, you need to buy proprietary charger or permanently change the batteries. External batteries can be recharged using standard battery chargers, and they charge more than just a smartphone. In addition, they are much cheaper as compared to specific removable batteries for smartphones with the same quality and capacity. There are arguments in favor of removable batteries. Replacing the low battery with a new per minute charge allows smartphone from 0 to 100%, carry the battery easier than an external energy storage device and the cable. Removable batteries allow the model to buy third-party smartphone and increase capacity due to the thickness and quality often. In order not to think about all of this, the perfect smartphone will get the battery capacity of 4500 mAh. With such a size you can easily use your smartphone for a whole day. This unit does not have to do very large. In Xiaomi and Meizu companies have a smartphone with a screen 5.5-inch, 4100 mAh battery and casing thickness of 8 mm. With a smaller size screen and more battery shell thickness may be 9-10 mm. More from removable battery there is one issue that will decide the perfect smartphone – durability. battery degradation is inevitable in 12-24 months of continuous use, so you can replace the removable battery with a new one. If the battery is non-removable, replace it yourself does not work, so the ideal smartphone should be on battery replacement guarantee. The replacement must be free within 18 months after purchase of the smartphone. Naturally, the smartphone will run on Android. Currently the latest version is Android 7.1. It will be used pure version of Android with support for hardware components and optimization to improve performance and efficiency. The ideal smartphone will receive security updates and functionality of Android as soon as they become available, at the same time with Google Pixel smartphone and Nexus. 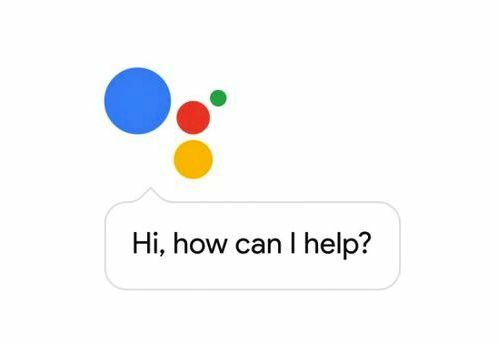 Here is Google Assistant, which is available only in Google Pixel and Pixel XL models. Its still not fully elaborated, but he is already one of the best on the market, along with the Amazon Alexa. Over time it will get better in 2017 and will appear in many smartphones. Operating System Windows 10 Mobile is not considered for various reasons, including because of the insufficient number of applications, but the perfect smartphone can borrow her some room. For example, it can be Continuum feature that turns a smartphone into a personal computer to connect to a docking station via USB. The ideal smartphone must support fast charging technology, especially given the non-removable battery. 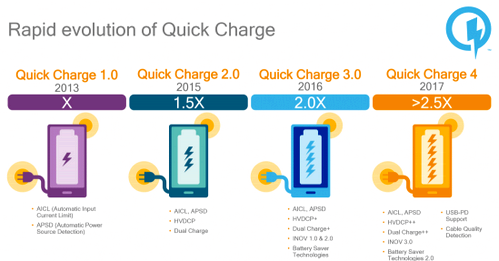 This model will work with the standard Qualcomm Quick Charge 4.0, charging from 20% to 80% should be less than 30 minutes. last year, interest in the technology decreased, but the perfect smartphone should support wireless charging standard Qi through. Engineers will have to try to make it work through a metal case, but nothing is impossible. Naturally, the ideal smartphone to USB connector type C with support for USB 3.1 protocol. 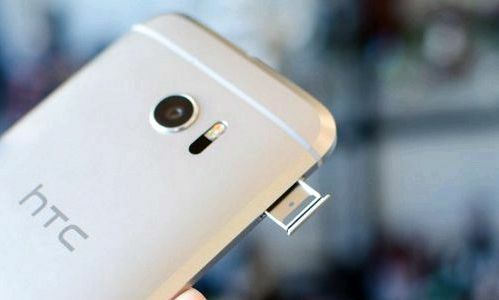 Most smartphones with this connector is content with the slower USB 2.0 standard. 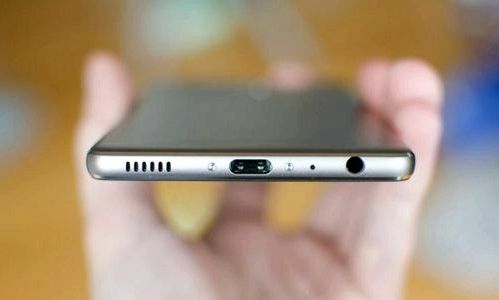 there will also be an analog headphone jack 3.5 mm. RAM size of 4 GB is enough, although on more too, no one will refuse. It must support NFC wireless standard. In developing countries, popular smartphones with two SIM-cards slots, but it is unlikely users from other countries abandon them. This will use a smartphone for work and personal life, or to use a SIM-card for calls and another for access to the Internet, choosing where cheaper. In the smartphone will be LED RGB LEDs that will see the unread notifications faster. More had to be always-on functionality of the screen, which will show the time and other information, when the main screen is off. The device will work with Qualcomm X16 modem and wireless connectivity. Some flagships do not use the antenna and other components to support Qualcomm modems. The ideal smartphone will support LTE Category 16/13 communication standard and all functions X16, for it will be possible to make phone calls to cellular networks around the world. Most of the components will focus on support for virtual reality, will be supported by Google Daydream platform. screen: 5.3 inches, AMOLED, resolution of 2560 x 1440 (554 ppi). The screen is flat. Price flagship smartphone will be on par with other flagships and will be $ 600. That’s $ 50 cheaper than Google Pixel, and Apple iPhone 7. It seems that LG has the following among the major manufacturers will release a flagship smartphone, ahead of Samsung Galaxy S8. Before the G6 LG is not an easy task to make users forget about the failed G5 Reputation: LG and weak sales, due to which LG mobile division revenues in the 4th quarter of 2016 fell by 23% compared to a year ago. Although an interesting modular design, the smart phone was expensive and did not become popular among the users. While it seems that LG is not going to repeat the mistakes of the past, but for sure we will be able to find out only after the appearance of the G6 LG smartphone sales. Who can only look forward to it. The following ten features LG G6 will be described, which became known from various rumors. Judging by the most number of rumors and images appeared, LG G6 gets a new design in which there will be no modularity. This experiment audience perceived cool; rather limited and boring ecosystem modules failed to attract buying interest. Modularity was the mistake, which is unlikely to be repeated this time. LG G6 certainly get a more traditional metal enclosure. LG may enter into competition with the other producers for the reduction of the scope on the edges of the screen, what they say about the available image device where space under the screen is used more efficiently. Unfortunately, most likely it is the lack of a removable battery. 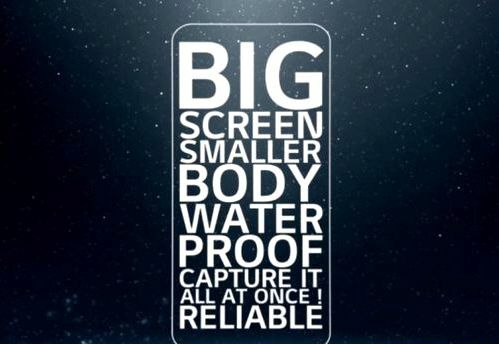 So far, none of the smartphone LG has not had any kind of water resistance. 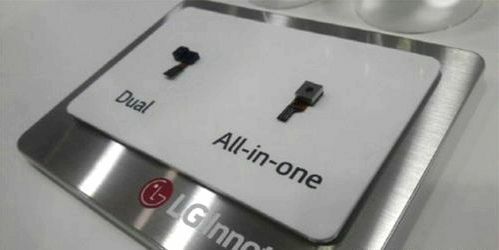 G5 Reputation: Modular housing LG and LG V20 removable battery prevented developers to protect them from moisture, but will no longer be any excuses and LG hints that G6 is water-resistant. Such protection is, in smartphones Apple and Samsung, so you need to catch up with competitors. Approximately 19 of the 20 modern smartphones have screens with an aspect ratio of 16: 9. Consumers have long been accustomed to this standard and when the smartphone is different, it attracts attention. That’s what can happen to LG G6, because here we are talking about an aspect ratio of 18: 9, the screen will be narrower than usual. This is the aspect ratio of the screen is known as Univisium and is considered a compromise between the aspect ratio of TV and cinema screens. This will include more content on the vertical frame bar. In addition to the unusual aspect ratio, the screen will have a resolution of 1440 x 2880 pixels. The screen is very clear from the pixel density 564 ppi. This makes it well suited for virtual reality devices, if he will also meet the other criteria. information appeared recently, according to which the new flagship LG will not use the latter at the moment Qualcomm Snapdragon processor 835, which eventually will first appear in the devices Samsung Galaxy S8. LG is satisfied with last year’s flagship processor Snapdragon 821. Let it not be compared to the performance of the new chip, its capacity is sufficient for modern requirements. The new processor would be more advantageous from a marketing point of view, but most users will not notice the difference. LG has repeatedly used the dual cameras on its latest smartphones. 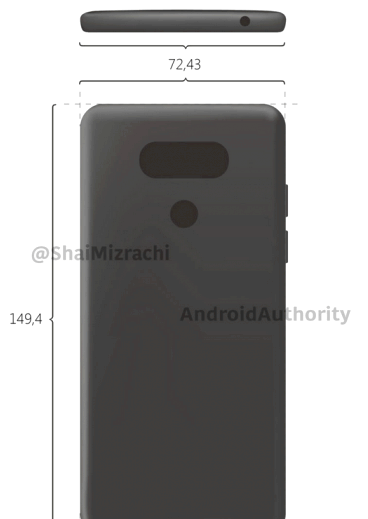 We can recall LG V10, LG G5, LG V20, which are dual cameras, front or rear. 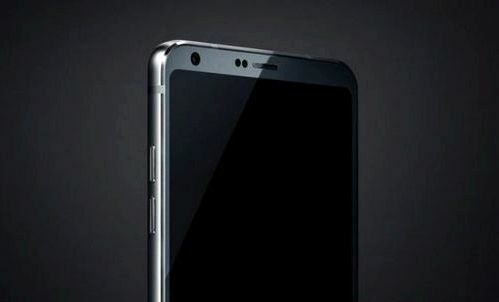 Rumors say that LG G6 receive dual camera. Most likely it will be in the back, according to hit the Internet schemes. 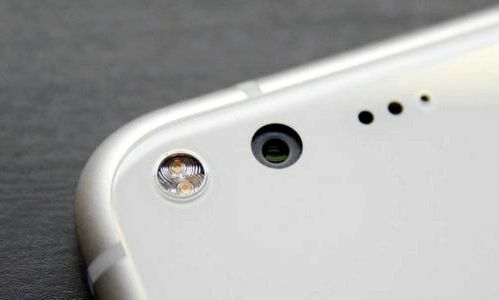 Smartphone Available images indicate that the front camera will be single. It is believed that LG G6 can get iris scanner, which was in the Samsung Galaxy Note and 7 should be Galaxy S8. However, this should not be a simple module, shell scanner it will be merged with the front camera. If so happens, the design becomes easier. If the module will be different, most sources still believe that the smartphone will receive the iris scanner. Rumors say that this smartphone will be Google Now, which is available only in the Pixel Google smartphones. This exclusive opportunity Pixel smartphone, which has not yet been on other Android-devices. While this is not the most credible rumor, but Google and LG have a long history of cooperation, so that all things are possible. All manufacturers are trying lately to offer such assistants in their smartphones, LG does not want to lag behind, and it needs to rival Microsoft Cortana and Apple Siri. Google Assistant is the most obvious candidate for this role. As for the RAM, can be expected to 6GB or even 8GB. This will improve multi-tasking smartphone, it will provide an opportunity to open more applications simultaneously, which will not have to clean up the memory when not in use. Recall that in LG G5 have 4 GB of memory. In flash memory information is not available, the basic amount may be left to grow to 32 GB or 64 GB. A year ago, this connector would not be worth mentioning, because it was everywhere, but in 2017 the manufacturers nothing sacred, and some of them have already got rid of the analog audio jacks. While most sources believe that LG will not follow their example, so that your headphones still find application. After the failure of Galaxy Note 7 Quality control is an important issue among smartphone manufacturers. LG is no exception and the company reports that will be a heat pipe, which is to dissipate the excess heat and not allow the battery to overheat inside the case. We are talking about reducing the temperature by 6-10%. LG G6 is not the first smartphone with a heat pipe, it was first in the Samsung Galaxy S7, S7 Edge, Note 7, Xperia Z5 Premium, Xperia Z5, Lumia XL and a number of other devices. Samsung has once again released on the low-end market products, which plans to overshadow the success of already well-known best-selling Xiaomi and Meizu companies. This time, it sets the J-series under the names J2 Ace and J1 4G. As you know, new items are now on sale in India at a price $ 100 and $ 120 for the version of the J1 and J2, respectively. Most Commented producer can understand that would reduce sales of devices from the second-tier manufacturers mentioned above. 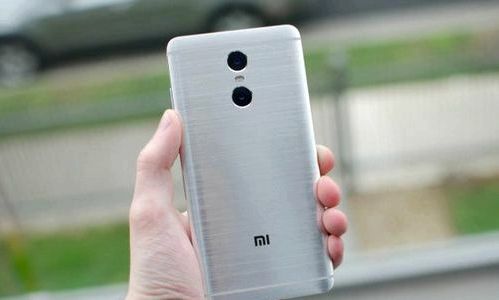 This may seem surprising, since the offers from Chinese rivals look more tempting for the money because of its materials and build more powerful stuffing. Regarding the characteristics of new products, no wonder we do not see here. By paying a little more money buyers can get the gadget that runs on Android 6.0 operating system. In the version of the cheaper Samsung established a relatively old Android 5.1. If you watch the trend update their devices by the Korean company, it is already possible to assume that the phones do not wait for the upgrade to version 7 OSes. 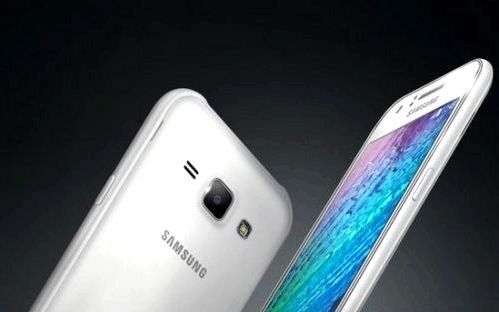 Galaxy J2 gave 5-inch screen with a diagonal of 5 inches and a resolution of 1280 x 720, 1.5 GB of RAM and 8 GB of internal memory, respectively. For the budget-stability of the robots will be responsible for the company MediaTek processor serial number MT6737T, and for the duration of the robots – the battery capacity of 2600 mAh. It equipped with two cameras on the gadget 8/5 megapixel rear and front, respectively. Both photo module are supported by LED-flash. A model called J1 4G is equipped with a Super AMOLED WVGA 4.5 inch display, 8 GB of internal memory and 1 GB of RAM, 4-core processor with a frequency of 1.3 GHz, 5-megapixel rear camera and a 2 megapixel front. Both modules work with LED flash in addition. 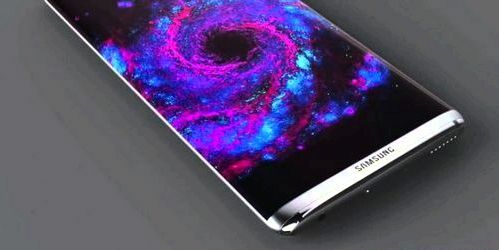 Galaxy S8, the next Samsung flagship device to equip a large and bright screen, a camera for more detailed images and extremely powerful hardware. 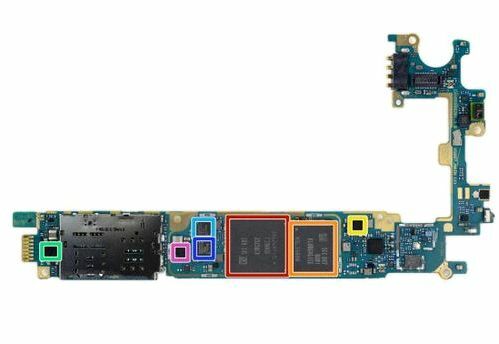 This last component is easily understandable why, as Samsung has just revealed that it helps Qualcomm with the latest top-end mobile processor. This notorious company from San Diego, California, whose Snapdragon chips can be easily found in most high-end Android-smartphone in the world, confirmed that she and Samsung are working together on the next product – Snapdragon 835 – the most powerful for today. It is the first in the history of 10-nanometer chip Qualcomm’s much thinner than a sheet of paper, or even a human hair. Such thin design concept fully promotes the creation of next-generation smartphones, as manufacturers are beginning to design a thinner device, allowing large batteries and more hardware. The first devices in the Snapdragon 835 should officially appear in the 1st quarter of 2017, which means that the Galaxy S8 becomes a prime candidate. In the meantime, around this smartphone, which will have a completely different design, irresistibly growing rumors. The Samsung, according to sources, is now taking additional measures to avoid a repetition of the debacle Galaxy Note 7. The company was criticized for his run without a full test when she hoped to capitalize on consumers’ expectations. However, the Galaxy S8, reportedly appears to superintellektualnym voice assistant AI called Viv, by which the South Korean giant will be able to seriously resist the competition from Google Assistant, Siri from Apple and Alexa Amazon. Running this service will also allow Samsung to reduce dependence on Google services. The company also follow the example of Apple and reject the industry standard 3.5 mm headphone port. 10.5-inch iPad, as a first read the August hearing, could arrive in 2017, and now the existence of the unit allegedly confirmed by Taiwanese suppliers, according to a new report. Production of the new tablet will begin in December, which means that its presentation is likely to occur in the first quarter. 10.5-inch gadget and the new Pro 12.9 “, which is officially required to present to the public at the same time, will be equipped with a new chipset,” apple “A10X, as reported above. The model 10.5”, is expected to be sold in the amount of 2 million units in the opening quarter and may reach numbers 5-6 million in sales for the full year. According to reports, the tablet continues to develop, because of its size proved popular in the business sector and in the US education sector. The existing 9.7-inch line is considered too small, while the 12.9-inch device is too expensive for large sales in these areas. Apple should introduce a new model iPad 9.7 “at the beginning of 2017, but it will be a low level compared with the 10- and 12-inch counterparts, while also being assessed below, in order to successfully compete with the” android “. It will activate A9X that can be found “under the hood” Pro 9.7. It’s definitely some kind of deja vu. It seemed that only a rumor from China claimed that the Oppo Find out in March with a Snapdragon 835 under the hood. Well, it was exposed, but it seems to have left another Chinese smartphone that is actually in March will receive a Qualcomm chip, the great and terrible. Yes, talking about Mi 6. According to one analyst to iSuppli, this will be the first Chinese gadget with the upcoming chipset, and release it at about the same time as samsungovsky S8 – the model will also refer to the action of S835. Of course, this information has not been verified, and it is important to emphasize that it is taken from the personal page Weibo expert iSuppli. Thus, this “prediction” does not necessarily reflect the views of his employer. On the other hand, about 5 Mi announced in February this year and released in April, so the appearance of a model with six numbers approximately one year later, there would be at least how shocking. Sure, Xiaomi has recently released “five”, but it seems some Chinese companies, for example, OnePlus, switch to the release cycle of the two flagships per year. 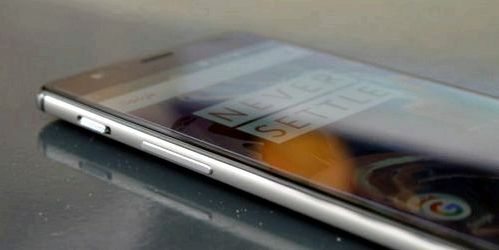 Recent rumors have suggested that OnePlus 3T will arrive on November 14, but it seems that users will have to wait a whole extra day, as he wrote in OnePlus Twitter, a gadget that will announce on 15 November. 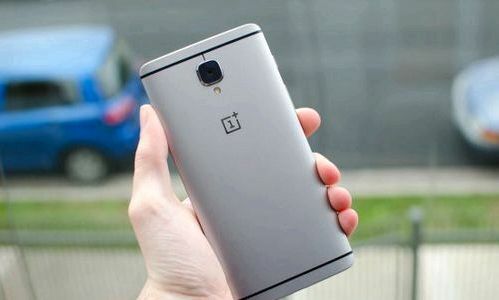 It was not stated what exactly it, but the company has confirmed that the device will be operated Snapdragon 821 2.35 GHz, which is slightly above the 2.15 GHz at 820 basis OnePlus 3. This is not surprising since Qualcomm has presented the same information ( minus the date of issue) a few days ago. While OnePlus still does not call what he planned to show quite clearly that this is 3T, the only rumored device OnePlus “on the horizon”, and that this mobile is rumored to have had to get a Snapdragon 821, along with LCD- AMOLED screen instead of at the OnePlus 3. Everything else is likely to remain identinchym. Thus, this is not the phone that is worth to buy for those who have already OnePlus 3 as improvements seem insignificant. But those who laid eyes on OnePlus 3, definitely worth to wait until November 15 and choose 3T instead. Teaser on Twitter, that includes the text “T-7” may imply that the announcement will be made at 13:00 EST on 15 November. It’s 10:00 PST, 18:00 and 5:00 in the UK on November 16 in Sydney. OnePlus 4 will not arrive until next year. 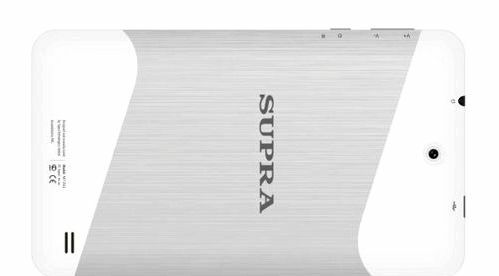 If you just want to clean your tablet Supra. When hard reset Supra, will happen to the factory reset, all user files and settings will be deleted. Therefore, before a hard reset procedure Supra tablet, extract desired data (contacts, sms, photos, videos, music). Also deletes all user applications installed previously. To save the data, you can use Titanium Backup, statements concerning the possibility of data recovery after a hard reset Supra. Select Backup & reset and press Factory data reset. Reset settings and Delete everything for the final approval process. Pinch C. (+) and Food for about 10 seconds. Release the button when you see the Android robot. Briefly hold the button Food to enter the Recovery Mode. From the menu select: Wipe Data / Factory Reset, use Volume for navigation and Food to select options. When prompted, select the confirmation yes. Then option reboot system now.